Ten years ago, Entreq introduced the very first ground box from the company, the Tellus. This was a real breakthrough in sound improvement, and the importance of grounding has since then been recognized as a major factor of how to get the best performance from a set-up. 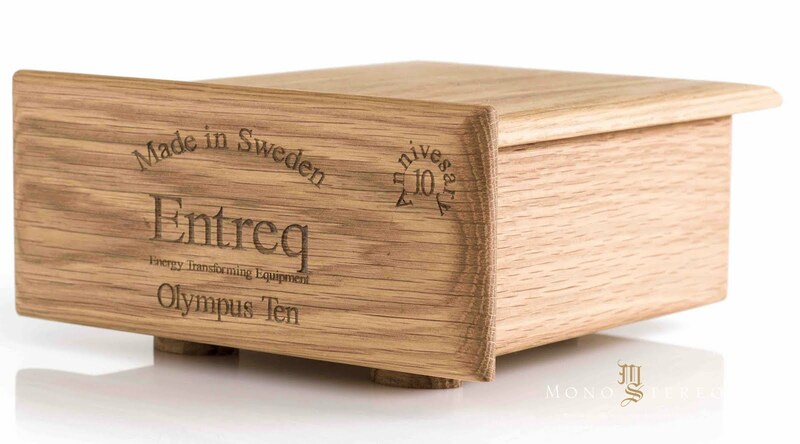 To celebrate these ten years of developing and producing ground boxes, Entreq is extremely proud to present the Olympus Ten ground box. The Olympus Ten is the result of more than ten years of experience with ground boxes, and the result is stunning. The leap in performance compared with fx. a Silver Minimus is tremendous. Of course, the bigger brothers Olympus Mini and Olympus Tellus have more solid effect, but we believe you’ll hardly ever find any other box of this size that will give you such a great performance and sound improvement for such a reasonable price. Olympus Ten is the smallest box in the Olympus line. We think it will be a beacon for many years when it comes to size, performance and price. You can meet Entreq and the Olympus Ten at the Warsaw Audio Video Show, 17-19 November.